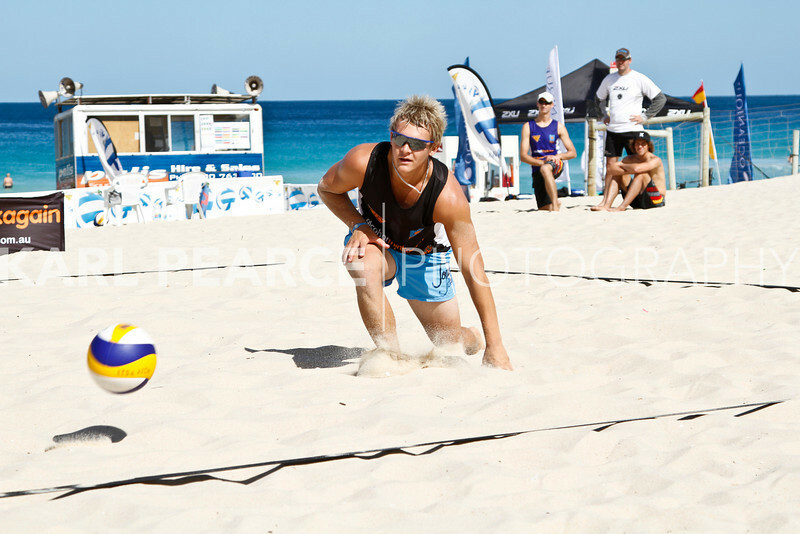 Images from Western Australian Beach Volleyball State Series #2 Held on Saturday December 18th 2010 at Scarborough Beach. 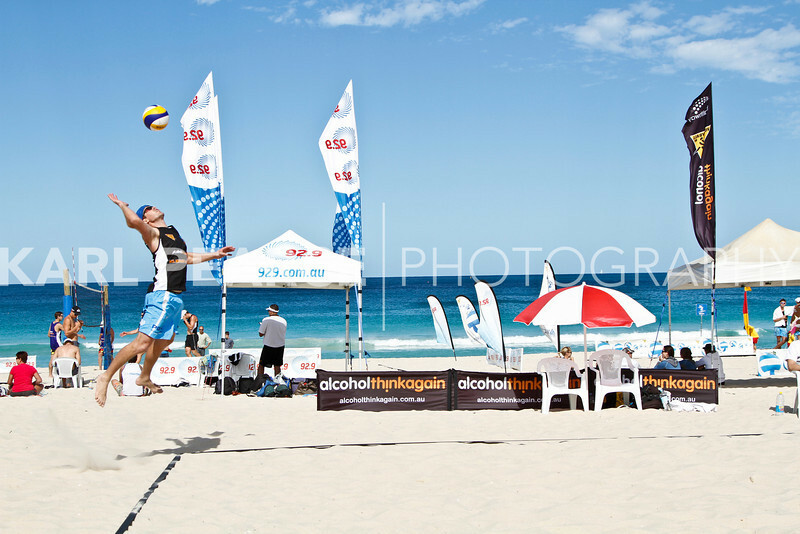 Mainly Mens AAA Games, but due to court layout was able to get a larger range of images from all grades on this day. 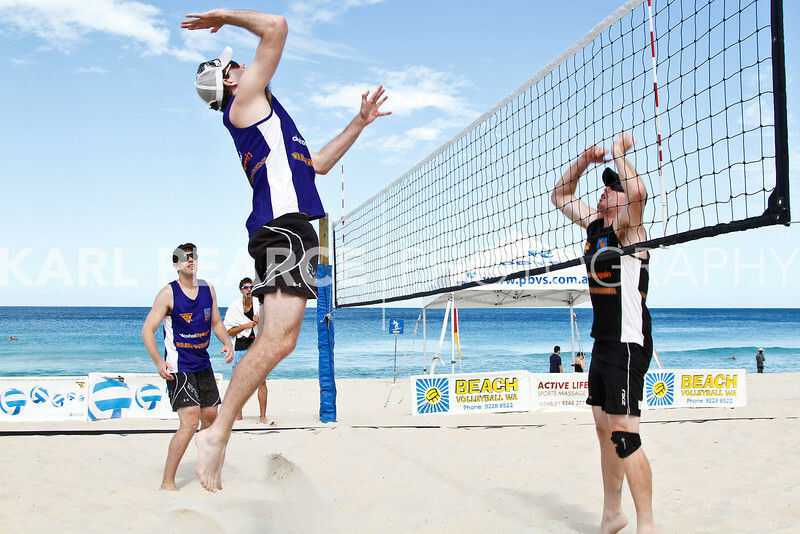 Text taken from Volleyball WA: "Beach volleyball hit Scarborough for the 1st time this summer, in what was again a tough, hard fought 2 days of competition. 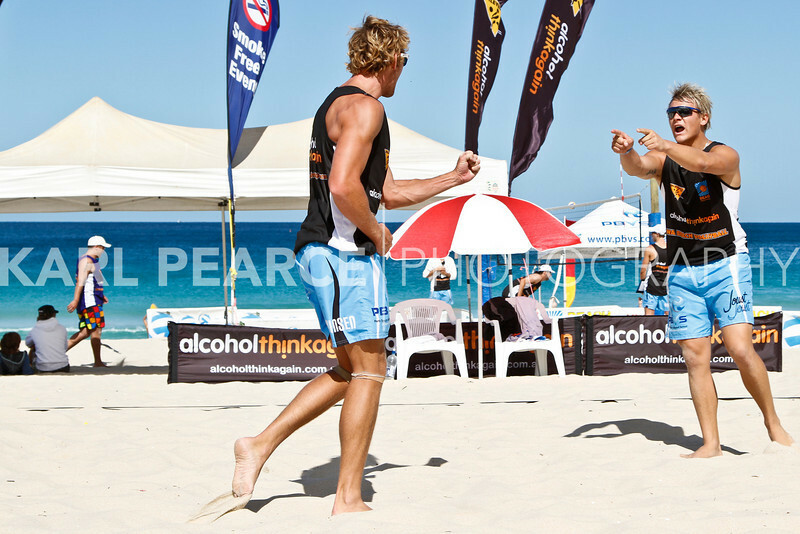 The winners of the Men's AAA competition were Casey Grice and Mark Heron, defeating Cole Durant and Bloke Borrett. 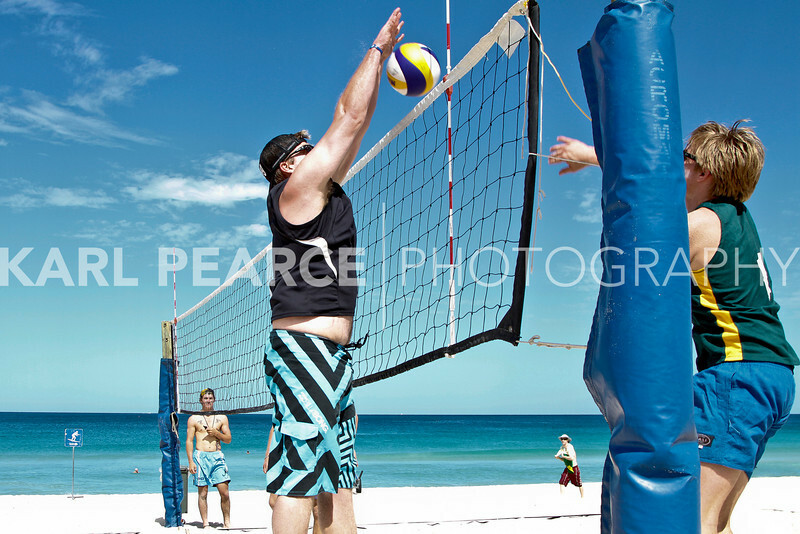 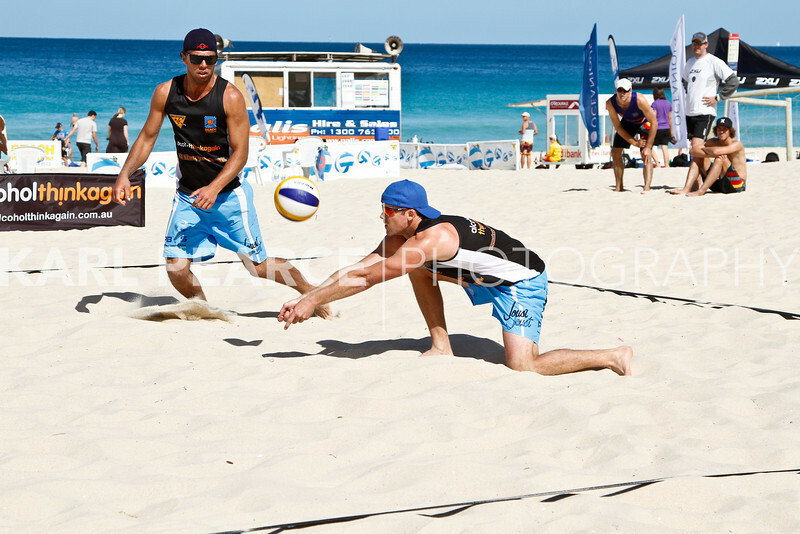 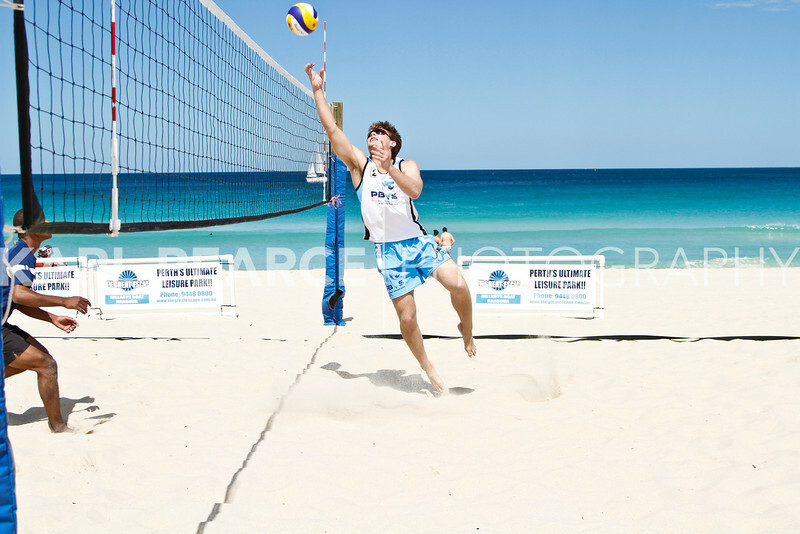 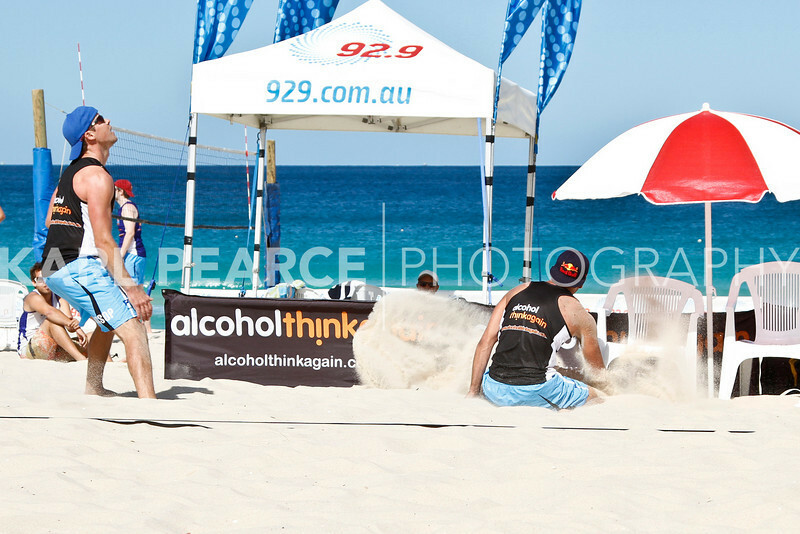 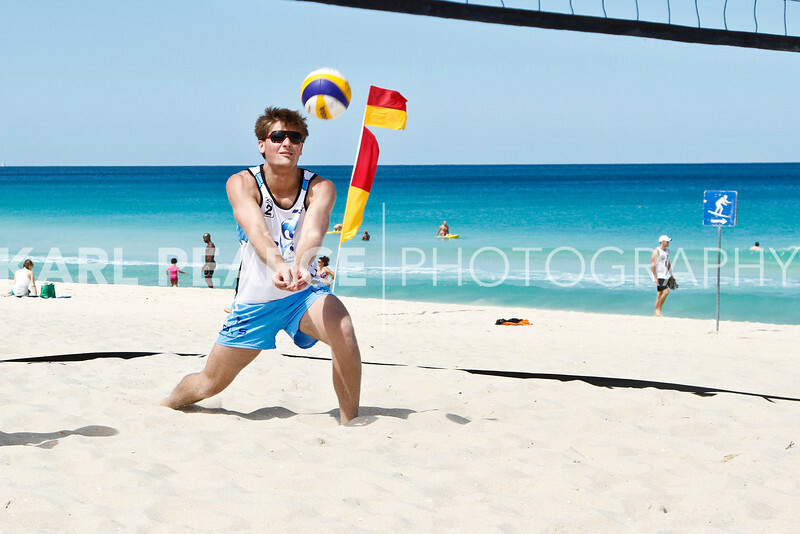 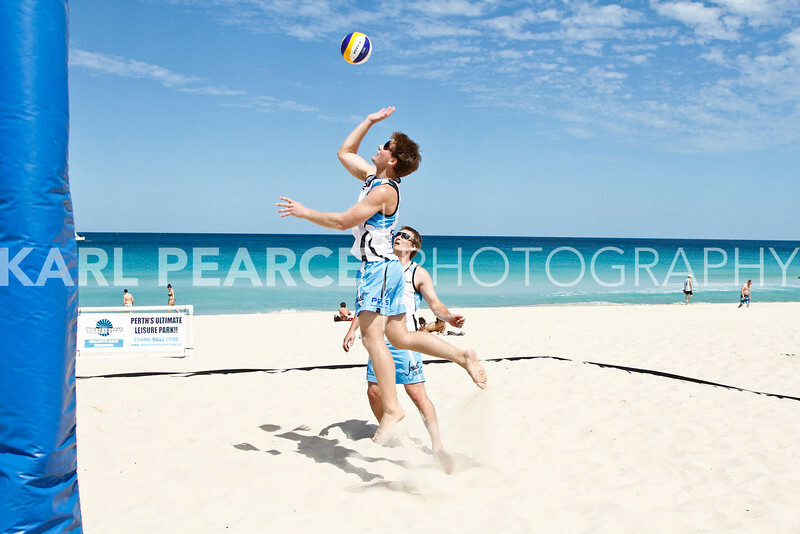 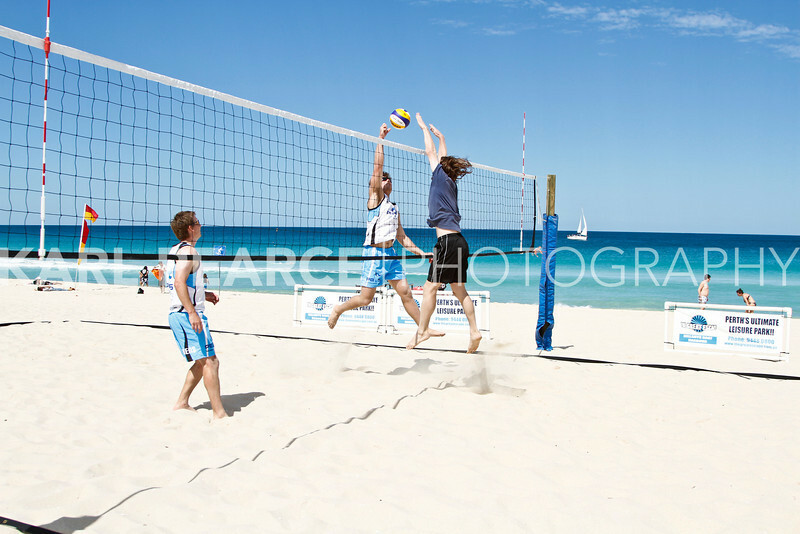 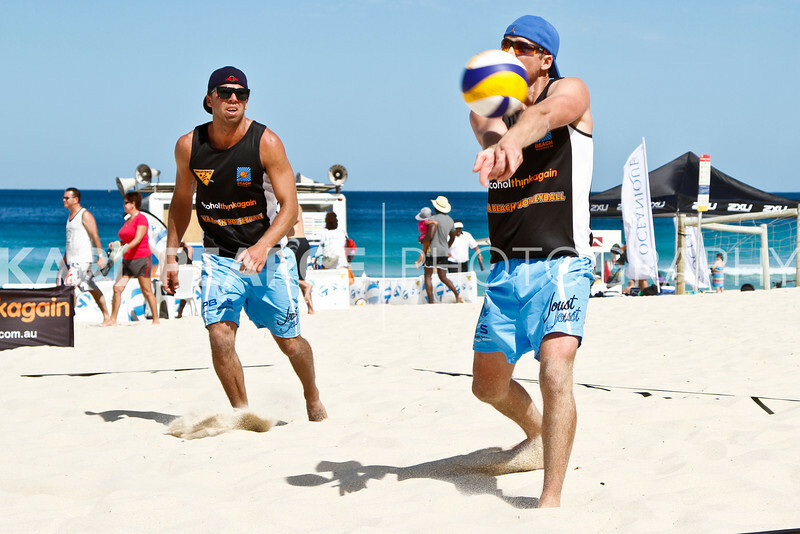 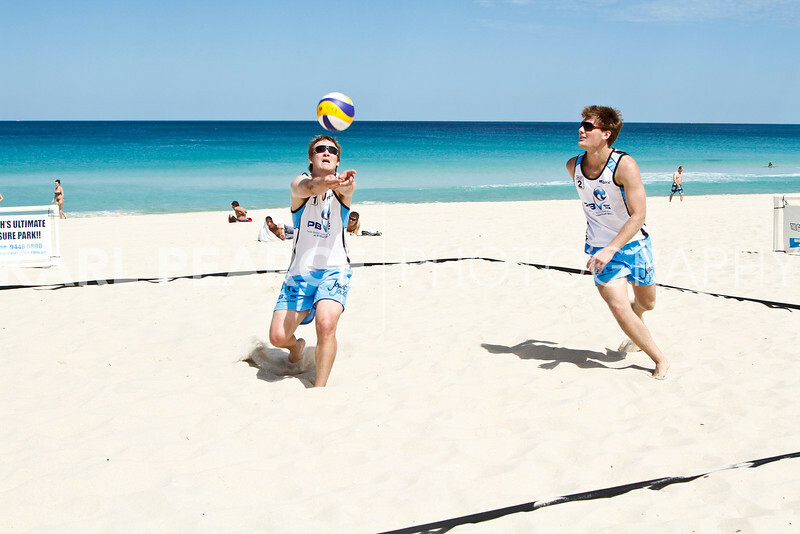 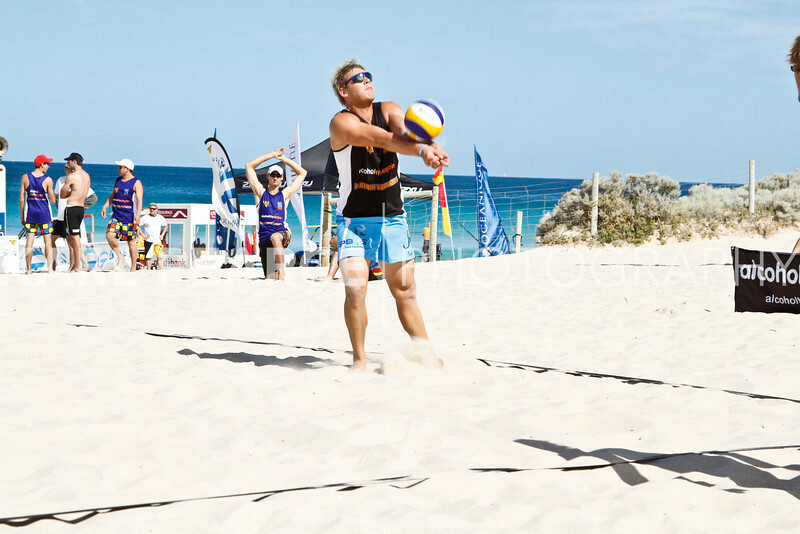 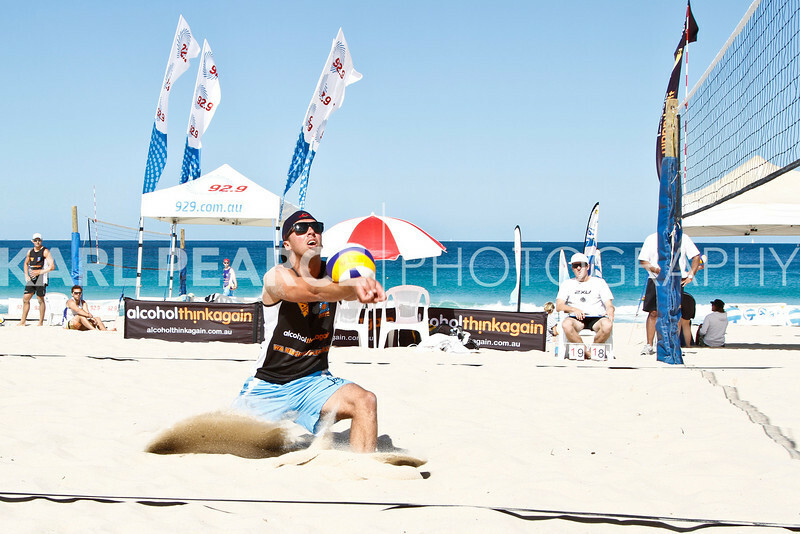 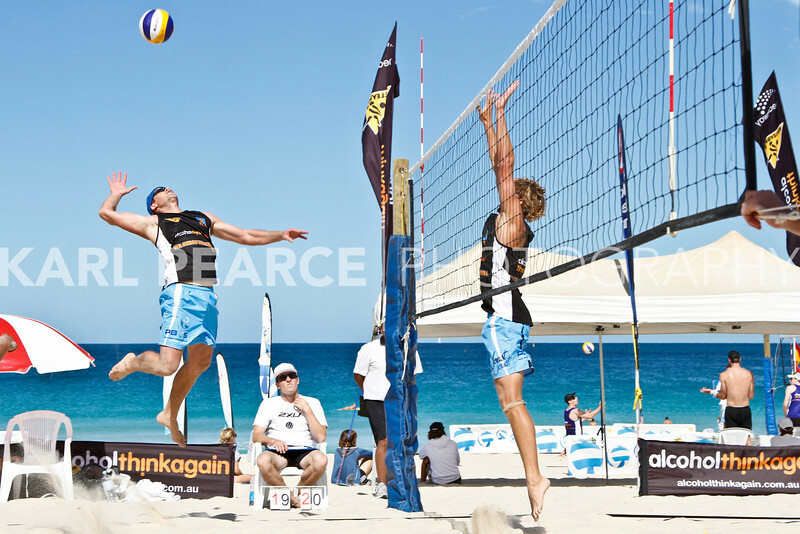 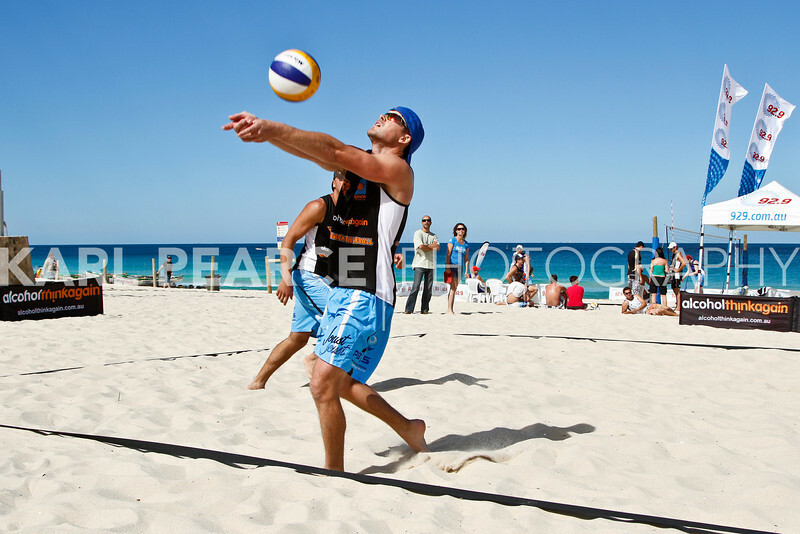 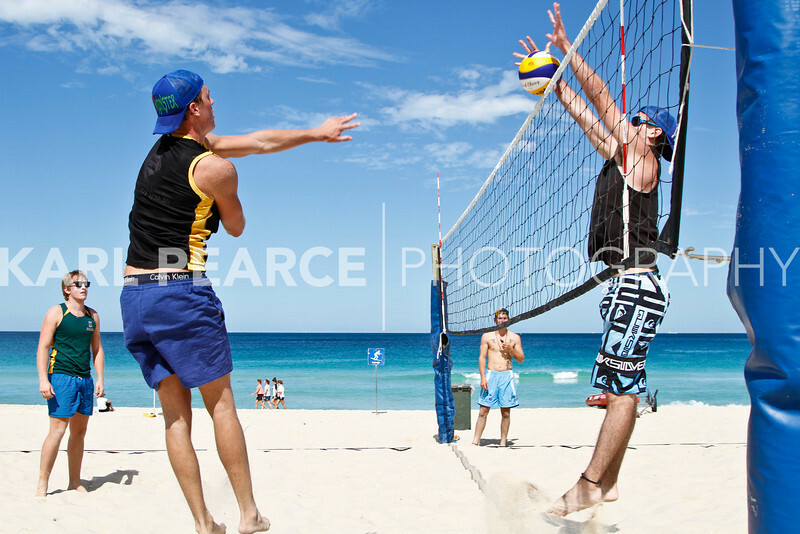 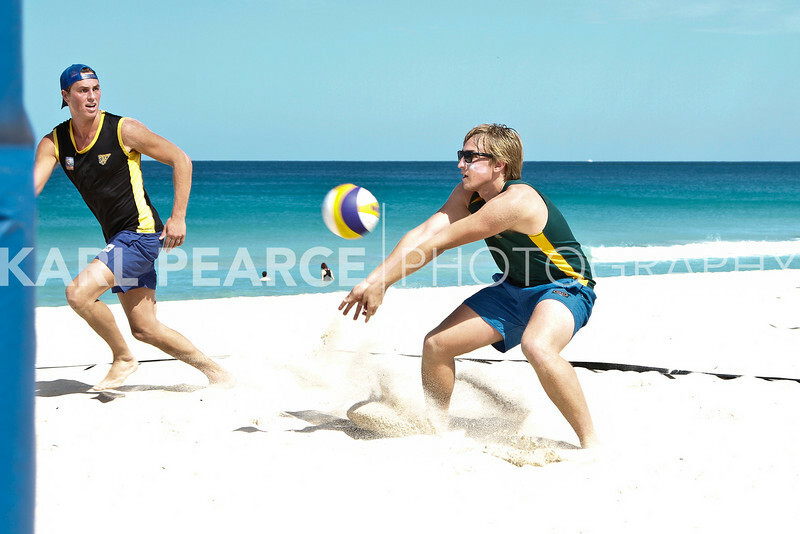 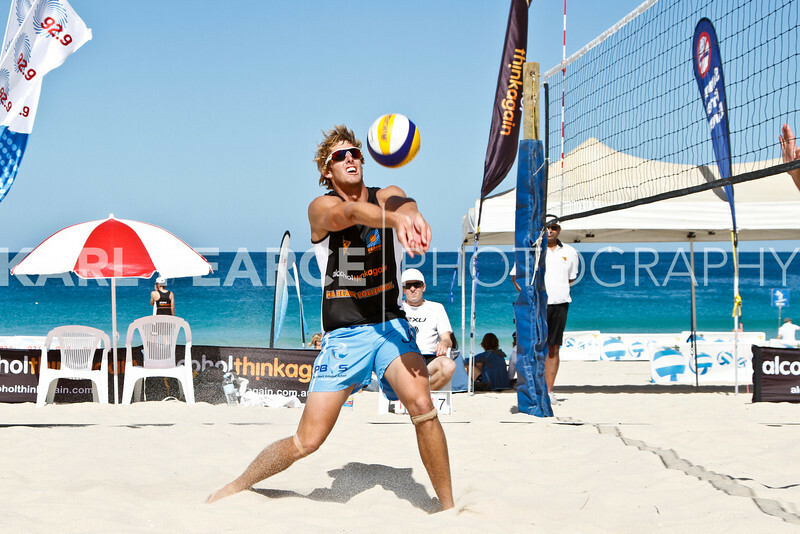 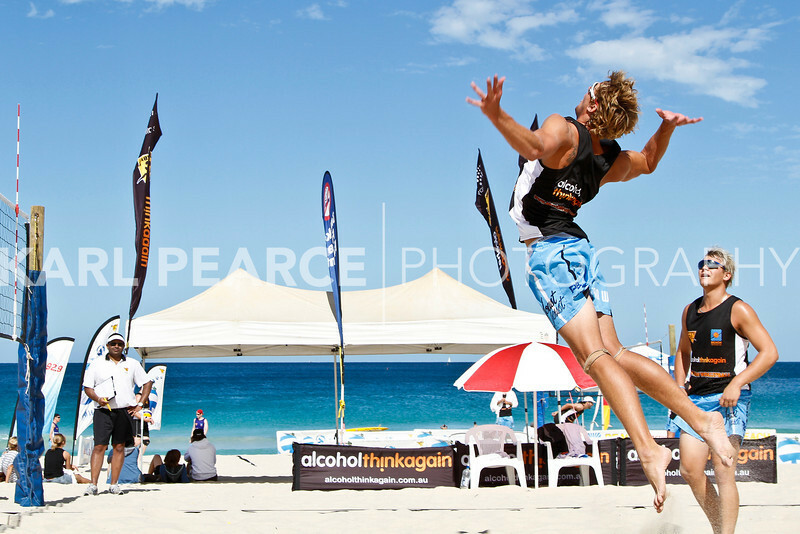 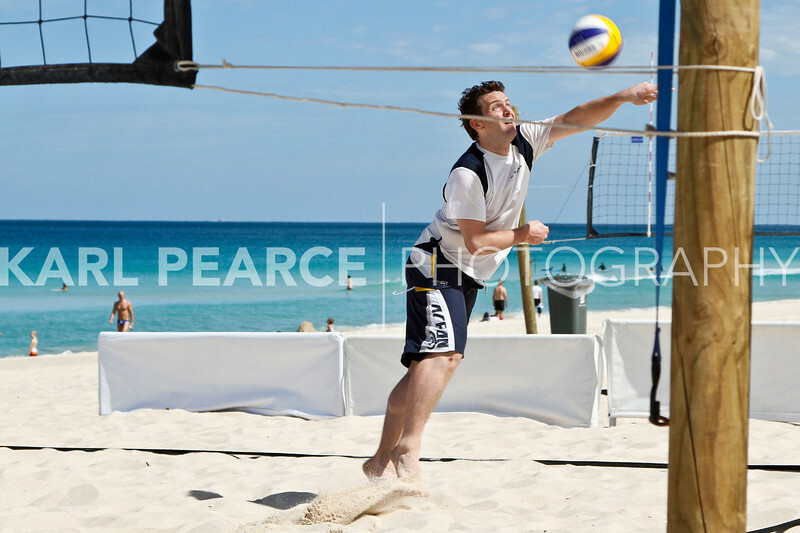 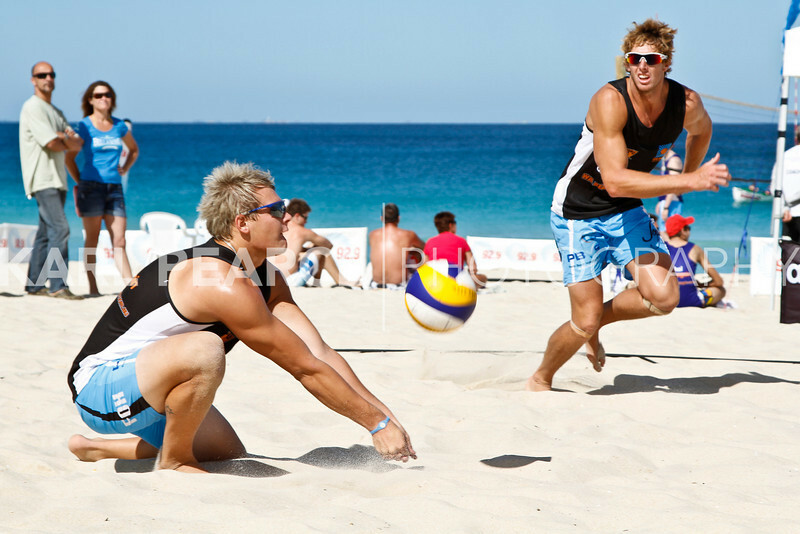 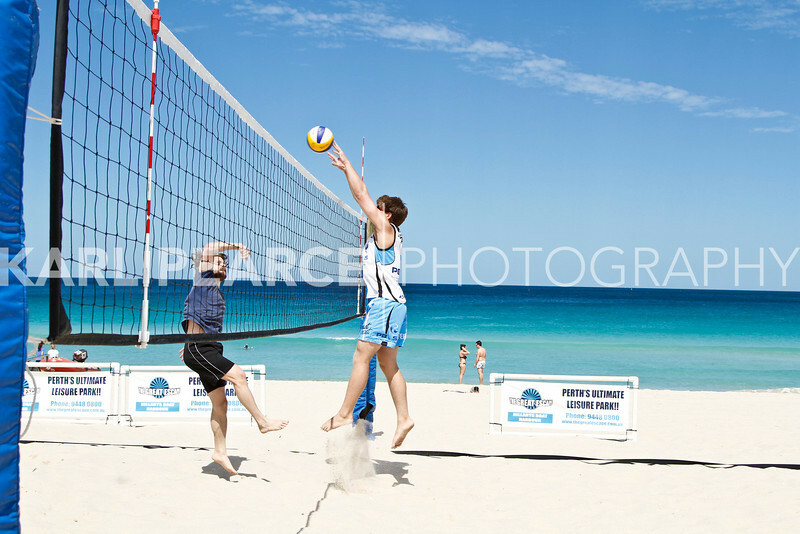 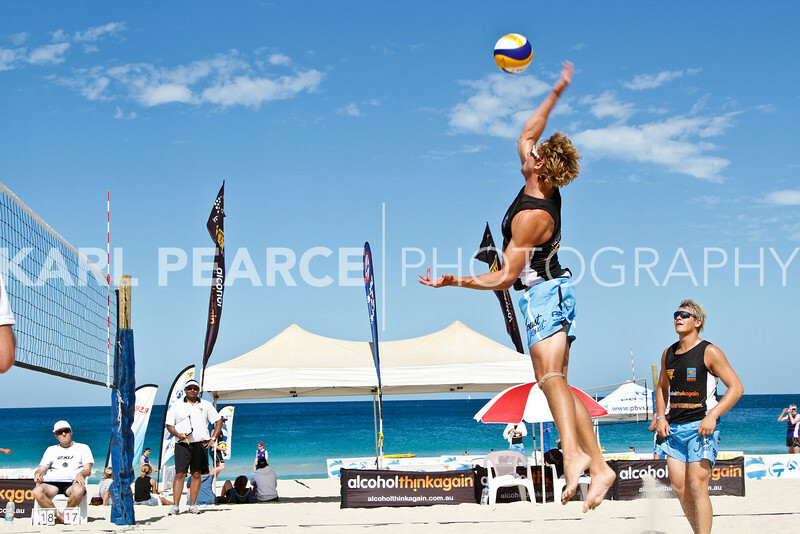 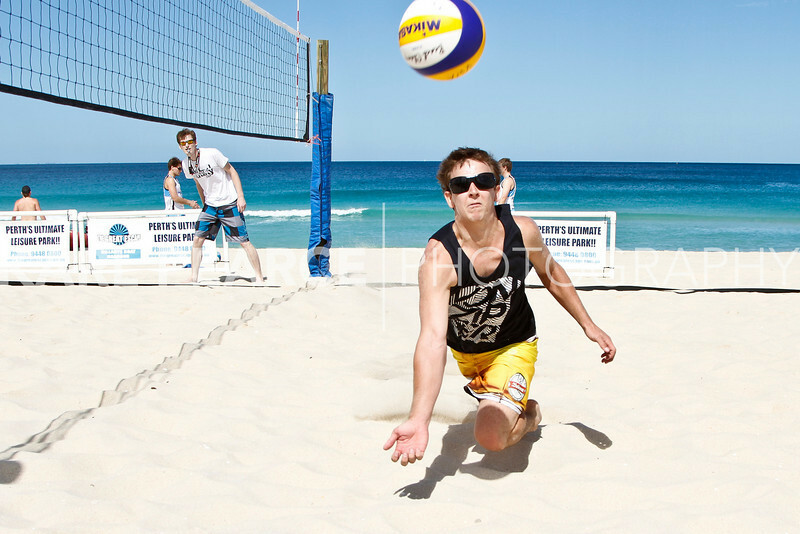 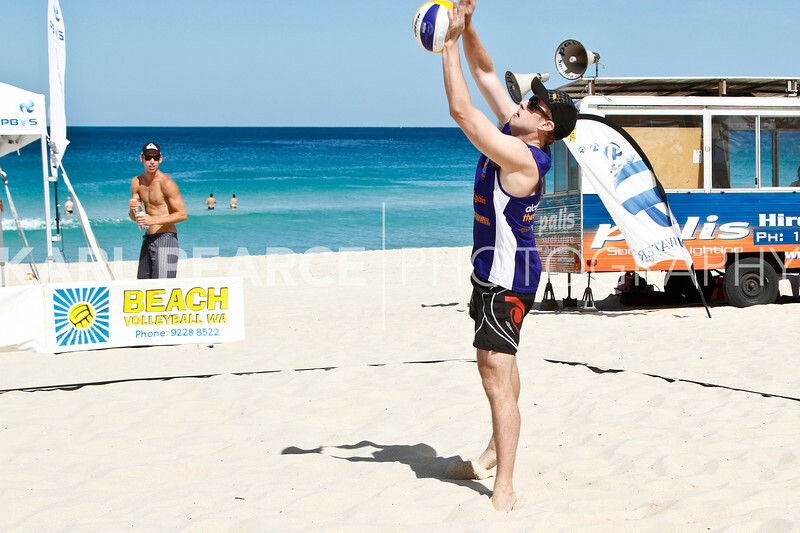 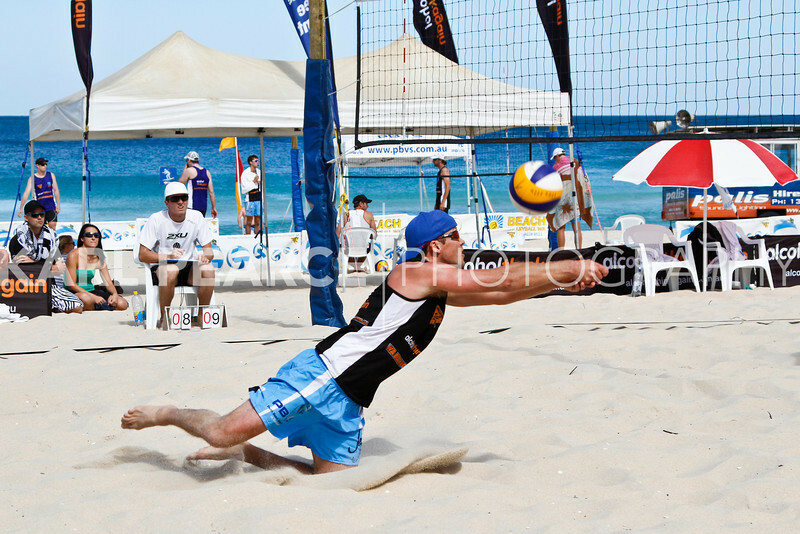 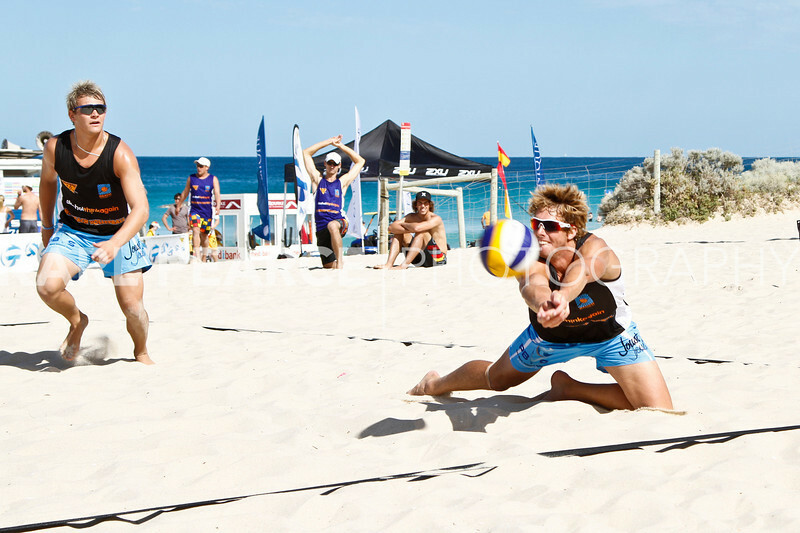 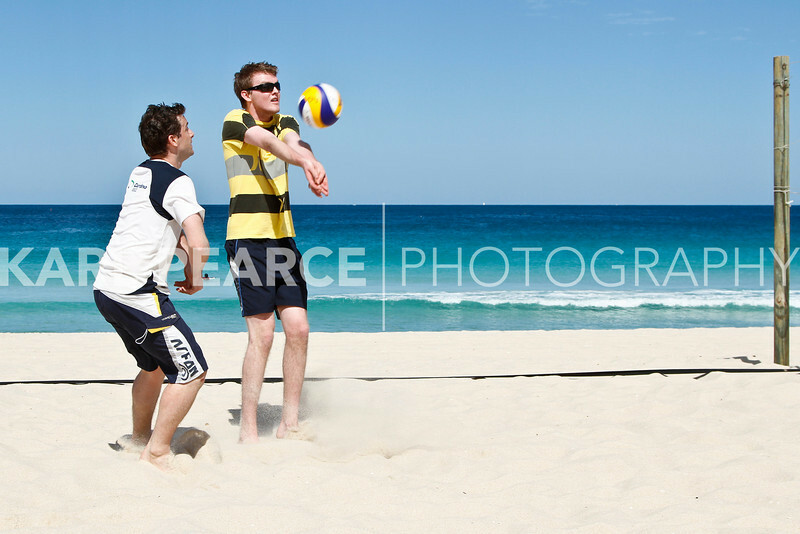 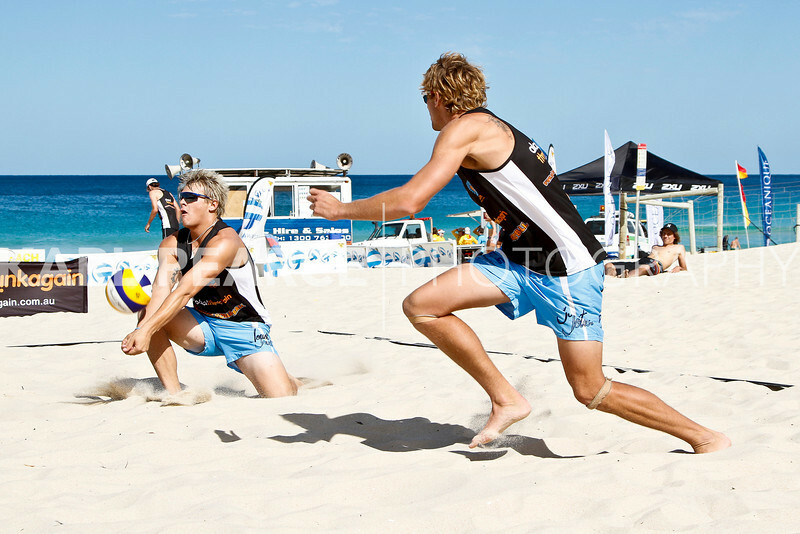 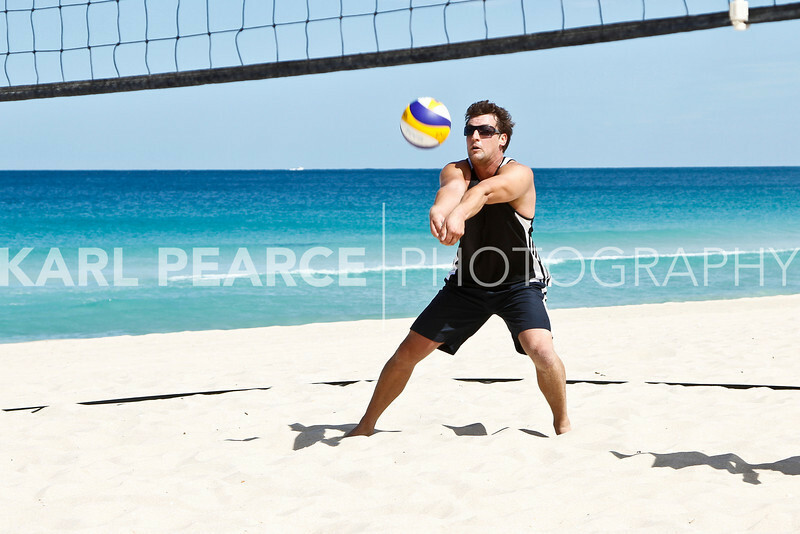 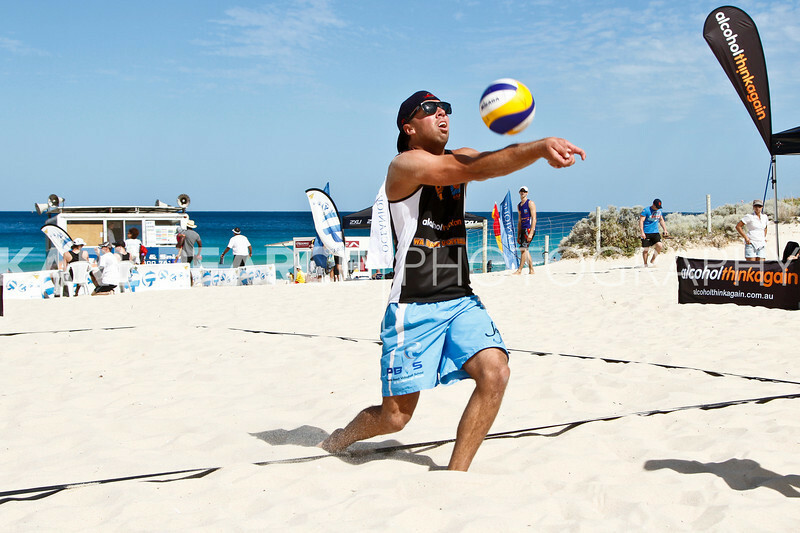 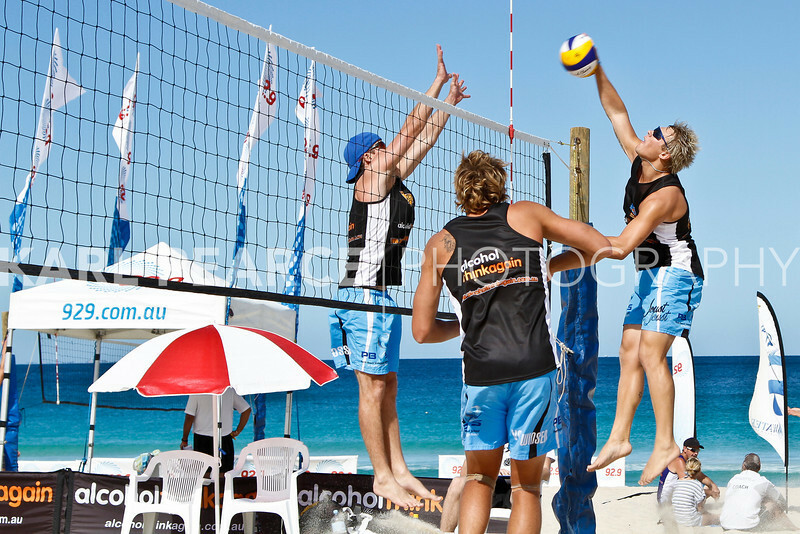 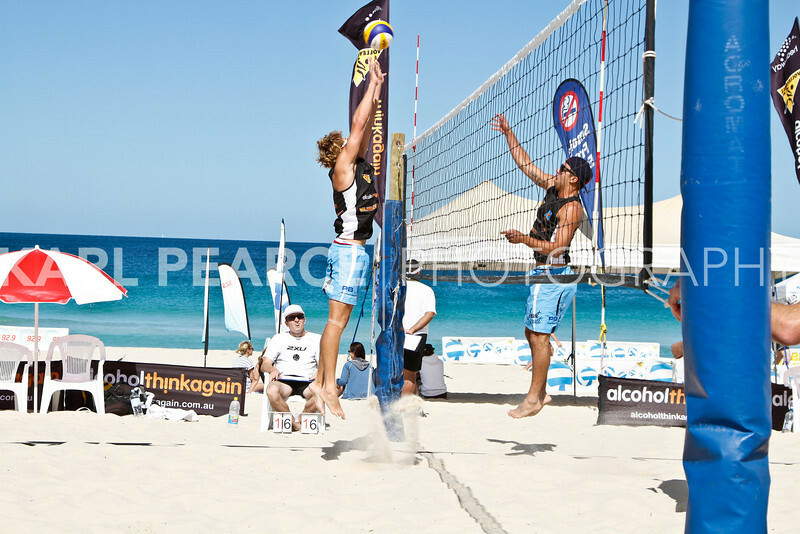 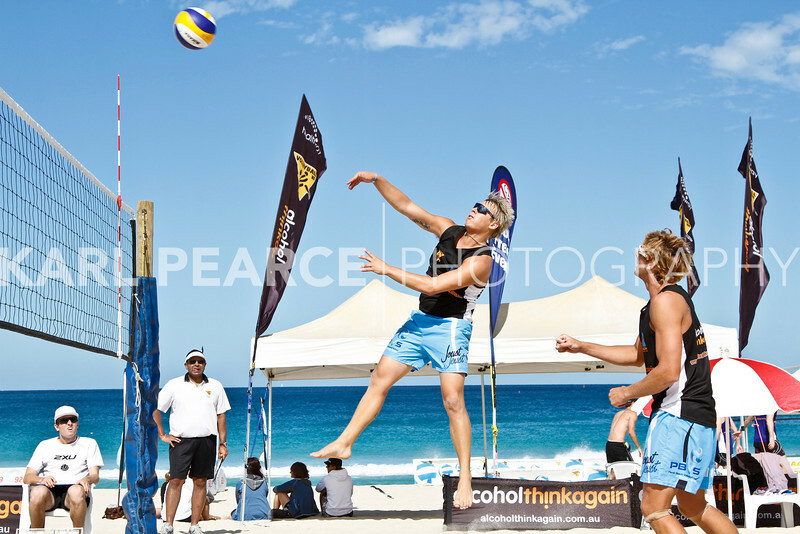 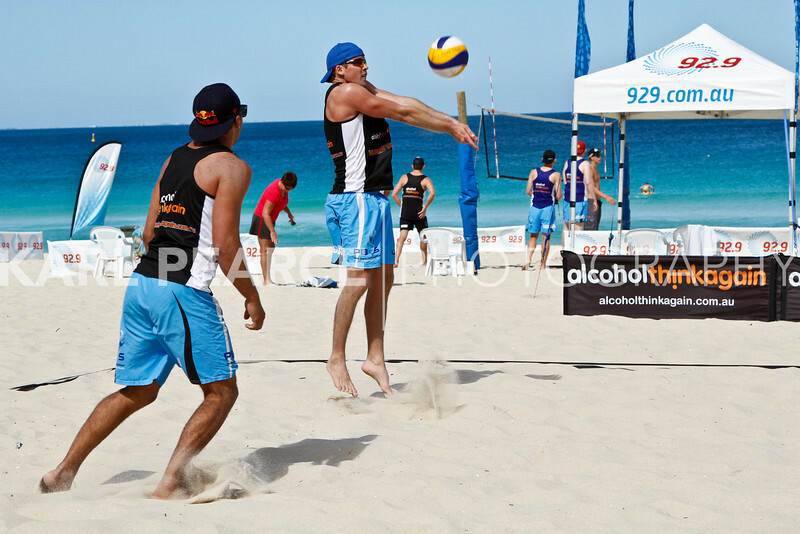 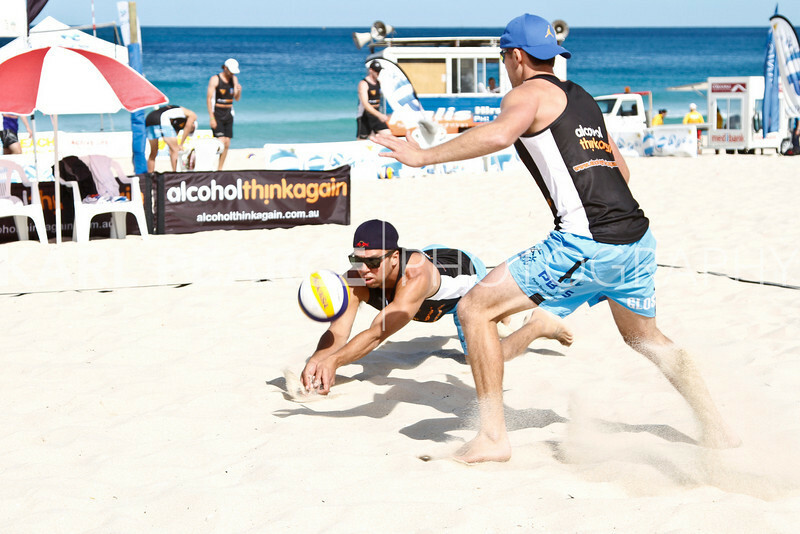 The pairing of Grice/Heron have been absent from the WA Beach Volleyball Tour for the past couple of seasons, with Casey currently on scholarship with the AIS and Mark relocating to Broome."